Sarah Darville The empty Milavec Hakimi Gallery space. There’s one less gallery along the Bowery. After opening in September, the Milavec Hakimi Gallery has closed for good, leaving a darkened corner in Cooper Union’s imposing new academic building. 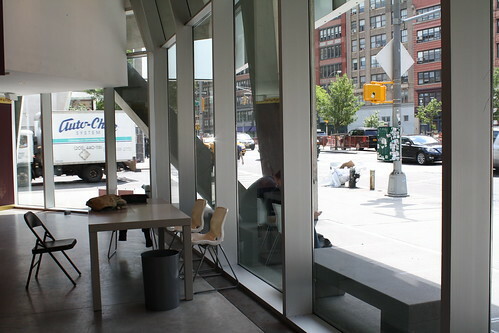 The gallery shared the ground floor of 51 Cooper Square with two other newcomers, Au Breve Espresso and the Preschool of the Arts, which may take over the space.